Unless I’m missing something this is the most impressive AJAX loading One Pager I’ve seen. Kangaroom is basically a spare room and house share search engine. The design is slick, transitions are smooth and UX is excellent. And to put the cherry on top it adapts perfectly to mobile. Amazing what you can do in One Page. 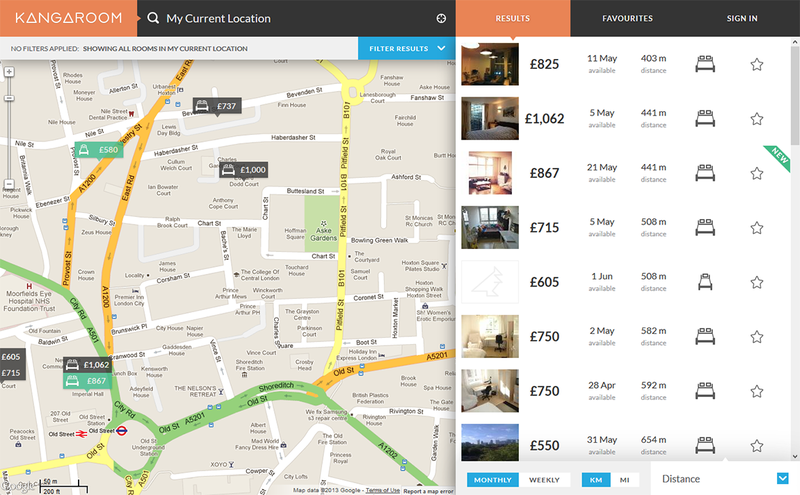 The flatshare, houseshare and spare room search engine. Targeting the whole of the UK including London, Birmingham, Manchester, Leeds, Edinburgh, Bristol and many smaller towns and cities.